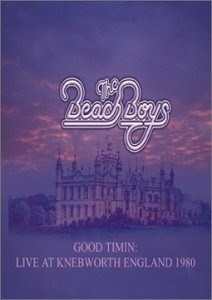 This DVD was recorded at the Beach Boys historic concert at Knebworth House on June 21st 1980. It proved to be the last time that the original Beach Boys: Brian Wilson, Mike Love, Carl Wilson, Dennis Wilson and Alan Jardine, would appear together on any stage. The Beach Boys are one of the most successful groups of all time, selling over 10 million records in the U.S, with Pet Sounds being generally regarded as one of the all-time great albums.